the elements to play with: to tame. When In front of the easel and confronted with a white canvas the battle is to find a way to bring all those elements to an understanding that will allow for the idea to evolve to the physical reality of the painting. The subject is the invited guest. Antonia Ramis Miguel returns to Watergate Gallery continuing her approach to Constructivist art which combines the strength of structured line along with color and abstraction to create a dramatic visual effect that arranges the parts of a subject into a whole. She was born in Spain and has been painting since childhood. She studied with Edgardo and Alceu Ribeiro, students of the renowned constructivist Joaquin Torres-Garcia. The influence of her native Spain, particularly the use of saturated color is still visible in her work. As I many times say: "It's not what you paint; it is how you paint, it that will make the difference." In Antonia Ramis Miguel’s previous show at the Watergate Gallery, her paintings of streetscapes were more persuasive than those of living things. 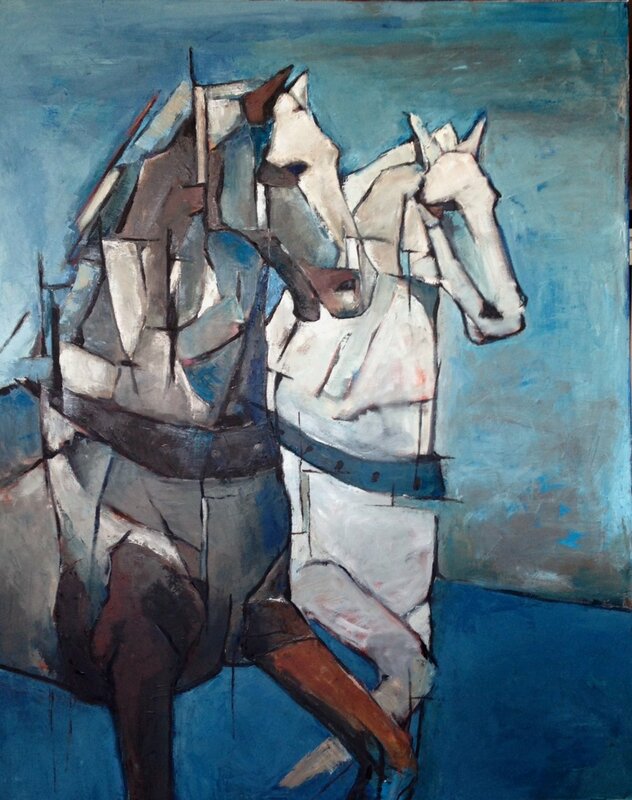 But some of the strongest pictures in her “Constructivism: The Structure” are of horses, partly disassembled into planes of white, tan and brown. Perhaps Miguel would reject the division between animate and inanimate. One of her large horse paintings is neatly flanked by two small ones of chess pieces, including knights. In these parallel equine portraits, form trumps function.